Peter Sahui: Hello Dan — welcome to the site! 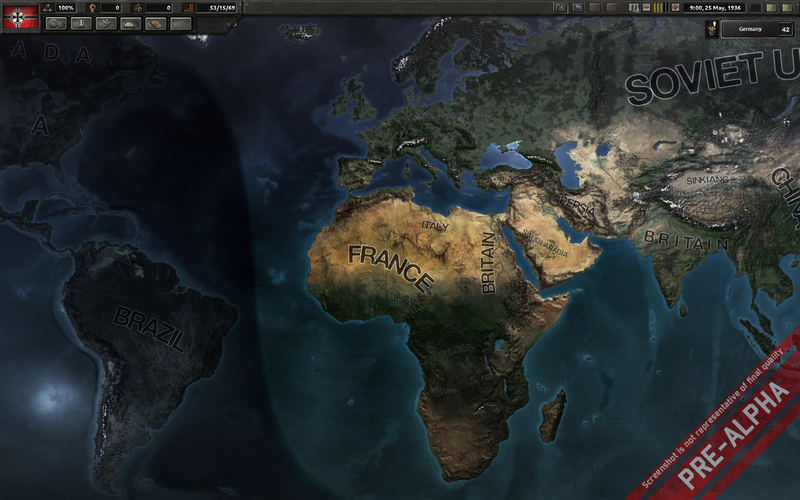 It’s been five years since Hearts of Iron III launched, and in your first developer diary, you talk about lessons learned from Crusader Kings 2, Europa Universalis 4, and HOI3. What inspiration have you drawn from other sources — other games, books, etc.? 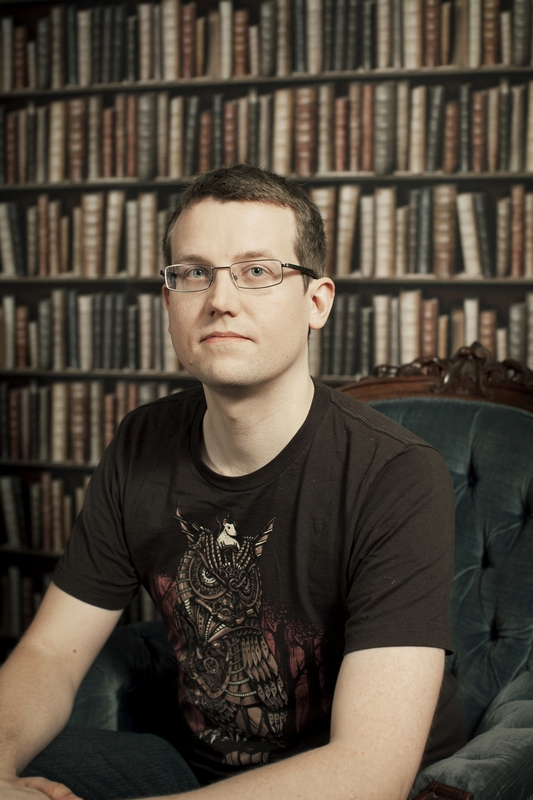 Dan Lind, Project Lead: As you know, Hearts of Iron is, like most Paradox Development Studio titles, a grand strategy game in an open sandbox and victory is determined by the goals you set up for yourself during the WWII time-span. The Hearts of Iron series is all about taking control of your nation in the years around World War II and leading it to victory – a wargame where you have to look at the entire war and take decisions in a multiple of aspects to reach victory. So Hearts of Iron IV is at its core is not a pure old-fashioned wargame. Therefore, to be frank, there are not a lot of other grand strategy wargames to look at unfortunately. But I’m personally fan of World of Tanks as well as War Thunder and I hope we can bring in more of their flavor and attention to detail. My team also really liked Unity of Command when we tried it since it is a pretty different game that shows how you can make a fun historical strategy game and still keep things easy to understand. When it comes to books, we have tried to have both a top-down and bottom-up approach. So we take a lot of inspiration from Winston Churchill’s books on WWII as well as writings by Otto Carius (a famous German tank commander) as well as memoirs of Russian artillerymen. PS: In your opinion, which aspects or theatres of WW2 did Hearts of Iron III represent best, and where do you think Hearts of Iron IV has most room to improve? DL: I think Hearts of Iron III had a very solid land combat system and the eastern front felt pretty good. I think where you will see most of the improvement is going to be the strategic warfare – the battle of Britain never felt like a nail biter and we aim to change that this time. The strategic air war is going to have a much bigger place in Hearts of Iron IV. The previous game also worked very well as long as the player stuck reasonably close to history, but if you ventured outside the AI’s parameters it couldn’t always cope with that. With Hearts of Iron IV, we plan to give the player a lot more freedom, where the AI is set up to be able to respond in situations that might be very different from history. Because a big problem with historical games is that people know what happened, especially in such a well-documented period as World War II. The leaders of those days did not know what would happen next and this is something that we need to deal with without losing the sense of realism that people have come to appreciate about our games. A lot of things will require gradual changes and actually living through events, which should give a much better historical feel as well as creating a game where it is easier to try out alternate paths of history and not feel that the only road to success is following whatever plan Eisenhower had. So we want less railroading and more historical feel in Hearts of Iron IV. Also Hearts of Iron III could either be played with full manual control, where micromanagement would be pretty heavy or with AI assistance, where your control over the systems you surrendered to the AI was very limited. Now we are developing a planning system in Hearts of Iron IV that gives you greater control, because we want to give you time to look at the bigger picture. In my opinion, this also adds a lot of immersion, since it feels more like I am guiding a military campaign. But for the micro-managers out there – relax, you can still do very detailed plans and update them in real-time! PS: I’d like to ask about one feature that has been announced — battle plans. How will allies feature in this system? Will we be able to give orders to allies, take full control of their militaries a la Hearts of Iron II, or see allies’ plans? To compare, Hearts of Iron III let you set objectives – but it was hard to know exactly if the Ai was going to go through with it or not. In Hearts of Iron IV, the AI will let you know if it goes along with the plan, and if it can spare troops so you will be able to rely on outside help. Unfortunately you probably won’t see complete military control in the Hearts of Iron II style. The reason is that I think it would be quite immersion breaking and open up to all sorts of exploits where you sacrifice other nation’s armies to further your own goals in very unrealistic ways. PS: Speaking of which, I felt that Hearts of Iron II and III were very different games that represented two quite different design philosophies (and full disclosure, Hearts of Iron II is still perhaps my favourite Paradox game after all these years). Where do you see room to build on Hearts of Iron II? And what lessons did you learn when going from Hearts of Iron II to Hearts of Iron III? DL: The biggest lesson we learned going from Hearts of Iron II to Hearts of Iron III was the fact that more isn’t always better than less. If we are increasing the complexity of the gameplay, then we really need to give players the right tools to work with the new features and give them understanding enough to grasp the potential of the new tools. On the other hand, going back to Hearts of Iron II, I feel that the map detail is very limited and that makes warfare less interesting than in Hearts of Iron III. So now when we are designing Hearts of Iron IV, we have looked at what worked really well in the two previous games, taken ideas from both games and combined it with new ideas that will hopefully satisfy players of both games and create a completely new WW2 experience. PS: What are the odds of seeing Hearts of Iron IV features pop up in other Paradox Development Studio games? I’d love to see battle plans in any future Victoria 3! DL: Ha, well let´s start at focusing on Hearts of Iron IV before making any commitments for future games ;) Our first goal focusing on Hearts of Iron IV is to do something similar to what we did with Crusader Kings II and Europa Universalis IV – keep the flavor and complexity of the game intact while making the game more streamlined with improved interfaces. But it is not impossible that we will incorporate features in our other games in the future! I obviously can´t promise anything at this early stage, but we quite often use game features that work really well when we make sequels or expansions. PS: Are there any plans to release a converter DLC along the lines of the CK2->EU4 converter? PS: Thank you for your time. Hearts of Iron IV is due out in 2015 — I plan to conduct a more detailed interview closer to then, so stay tuned! All images in this article were supplied by Paradox. 1) distinctive advantage of wehrmacht due to their “local-decision-making”-structure (all other [big] armies had the usual top-down-approach, where you are supposed to do as you are told, and not a bit otherwise) and not so much due to technology (only later on germans were able to construct superios tanks, but this was, together with jet-fighters, the only two fields in which they were not behind). They tried to catch it by leader-ranks, officer-ratio and stuff like this, but it never feels right, especially since most times the difference to other armies were to small. 2) Russian industry: While SU had a capable industry, as a matter of fact ’42 would have been, most probably, the year of russian defeat if not for massive US support (especially trucks, locomitives and steel) thanks to the declaration of war by Japan (and later on Germany). Usually Russia is very well off without outer help – feels weird. I played Hearts of Iron 1, 2, 3, Semper Fi, For the Motherland, Their finest Hour. What makes me mad is it is easy to play Nazi Germany. If you are Nazi you just attack everywhere. It is hard to play the U.S.A. because Sweden has a law that swastikas are not allowed and that is where this war game is developed. I double dam guarantee that if the Japs had not hit Pearl Harbor on a sneak attack that we would have not got involved in the war. The Japs invaded China and it pissed us and we told Japan….No imports from the U.S.A. baby………………….It is hard to play the U.S.A. and win a world war after a great depression. FDR did it right. 1)	Allow the players to create army group templates. These army group templates would have an organizational structure defined by the player (so many armies, corps, etc.). The players would be able to assign a general to a position in this organizational structure and then define the type of units he would control. When the units are created, they would automatically populate the organizational structure. If the player clicks a button next to the name of the army group, all the units needed to populate that army group would be put into the build queue. If the player clicks a check box next to the name of the army group, replacement units will be created and deployed if any of the existing units are lost. These templates could be saved and used in the next game, thus saving a lot of time and effort. 2)	Allow the player to create a rail road line between way-points on the map. All provinces along that path will be put into the build queue and have their infrastructure upgraded to a level 10. After the player has achieved a particular artillery technology, he would then have access to rail road artillery. 3)	Allow the player to degrade the infrastructure to prevent his adversary from taking advantage of it. 4)	A new logistics technology could be created to expand the number of days of supply each headquarters has on hand (for example: 40 days of supply as opposed to 30 days of supply). This could potentially ease the logistical burden that bad weather creates or allow the player to stock pile extra supplies for an offensive. 5)	If a player clicks on a naval or air unit that is in a defensive posture, the provinces that the unit is assigned to defend should be illuminated and the defense effectiveness (100% max) should be shown. As the number of provinces increases, the effectiveness starts dropping off. If the player clicks a check box to maintain a certain effectiveness level, the airport or naval base will automatically be expanded (put into the build queue) if needed and the proper number of air or naval unit will be added to the build queue if needed or if losses are taken. 6)	Allow the path of the ground units to be defined by creating waypoints on the map (shift + click the province). This will more easily allow the player’s fast moving units to surround his opponent’s slow moving units. 7)	A better instruction manual is needed… or perhaps some training videos. The instruction manual could be a PDF file on the disk to save the cost of printing. I like your army group idea! It would fit nicely with the idea of “more interesting decisions, less micromanagement”. I’m looking forward to Paradox releasing additional detail on battle plans – waypoints might be included. I have a pretty good dual boot computer right now (Windows 8.1 Pro & Windows 7 Pro 64, 3.4 GHz four core i7 processor, 8 GHz of RAM, 1 TB WD Raptor HD & 500 GB SSD), but I’ve noticed that HOI3 slows down the farther into the game you get. I would be nice if HOI4 was compiled for a 64 bit version of the operating system (Windows 8.1 preferably). Also, I think it would be a good idea to raise the minimum computer hardware requirements & keep more information in RAM. Most computers these days have two or more physical processor cores, so creating HOI4 as a multi-threaded application would be another way of enhancing performance. Great! I have never played HOI before, so this game will be my first. A player of HOI3 typically has his preferred technologies. If the player tags a specific technology as a high priority, it should be automatically moved to the top of the development queue (or the bottom of the high priority technologies already in the development queue) when the prerequisites have been obtained. If the historic development date has not been reached, but the player has identified a number of months before the historic date that he is willing to kick-off development (with a penalty), it should automatically be kicked-off. If a high priority technology has multiple development steps, all of the subsequent steps should also be considered high priority. If a high priority technology has one or more prerequisites, all of the prerequisites should be considered high priority. If a technology has been identified as medium priority, it should be automatically moved to the bottom of the development queue when the prerequisites have been obtained. All other technologies should be added development queue manually. And of course the player should be allowed to save these templates for future use.